Selina’s been saying the past week that this was her favorite race of the year. She may well be right (and we’ve got 44 other races to compare it to this year). 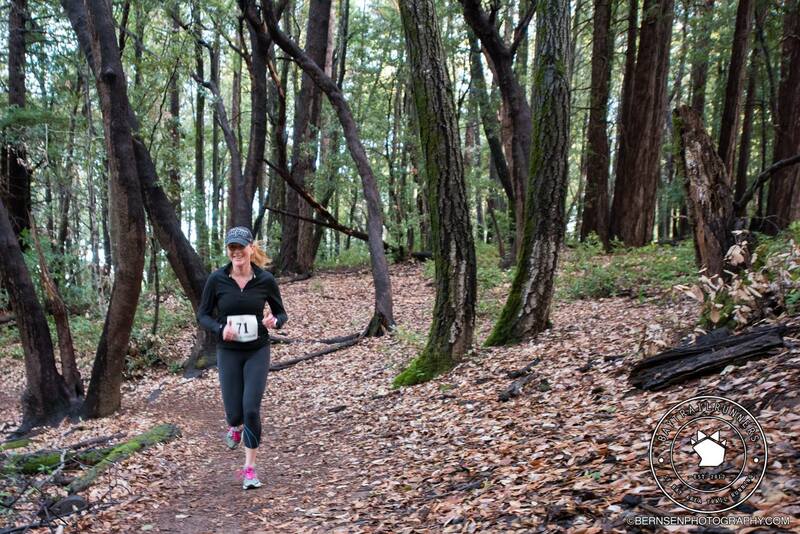 It’s hard to beat running on trails in the foothills of the Santa Cruz mountains. 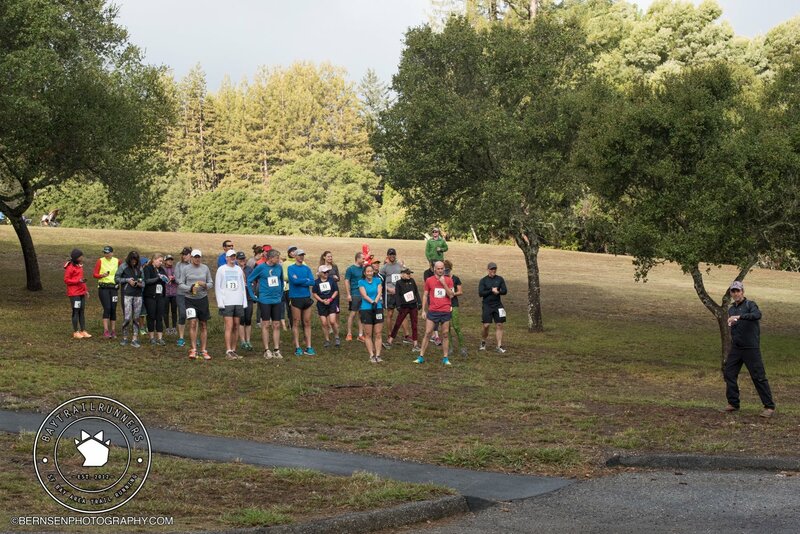 The morning began cold and rainy, but the sun broke through just before we started racing — and that made it just a beautiful day to be running in Huddart Park near Woodside. The race itself was almost a reverse loop of a race we’d run before, but it smartly stayed off the roads and added in an extra mile or so of trails. Just a tweak, but it made it a special race! This was a tough one, but we don’t mind that. 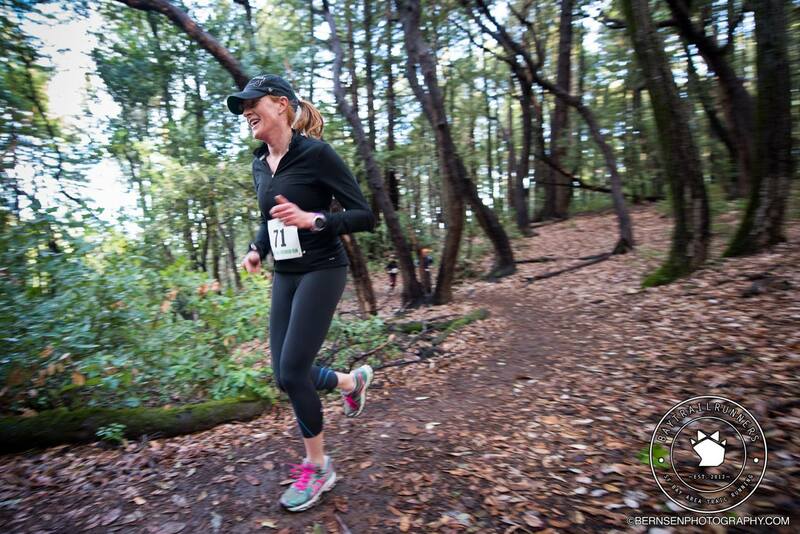 There was well over 1,000 feet of climb, and it pretty much all happened in the first mile and a half. That warms up the legs pretty fast on a cold day. We’ll definitely be back. Anyway, for now, that’s 45 races done in our quest to run 52 this year!